The galero is the official red hat. You often hear of someone being named cardinal and the Pope gives him the red hat. He actually places it on his head. Now, instead of the galero, they are given the biretta, a much simpler headdress. But up until at least Pius XII, in fact until 1969, popes continued the practice of giving the galero. And so it’s very unique looking and a much larger hat than the biretta. Originally the reason these hats looked so odd and so large was because popes wanted to be able to identify their cardinals in a crowd. So they made them wear hats like this so they would easily stand out. And so that’s part of the history of how they got to be such an odd shape. The galero was designed to wear to significant ecclesial events because it identified them as cardinals. Obviously it was a very impractical headdress–you can imagine it falling off with the wind blowing! You often see this hat in the top of a cathedral that is the cardinal’s ‘See’. They are placed in nearly all cathedrals that have had cardinals. Upon their deaths, they are hung in the rafters–in some cathedrals ten of them might be lined up, signifying there have been ten cardinals in a particular diocese. However, if you are elected Pope, that does not happen, because you don’t die as cardinal. So galeros available to purchase are only from a pope, because otherwise they’d be hung in rafters. 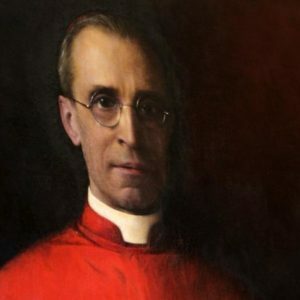 And so, this is the galero that Pope Pius XI place on the head of Eugenio Pacelli, the future Pope Pius XII, on December 16, 1929. 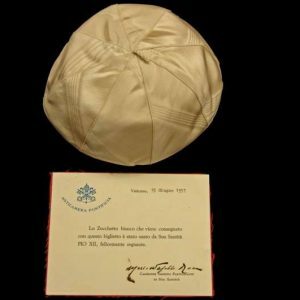 So this is quite a significant item since it’s associated with such a great pope, a pope during the most tumultuous time of the 20th century. 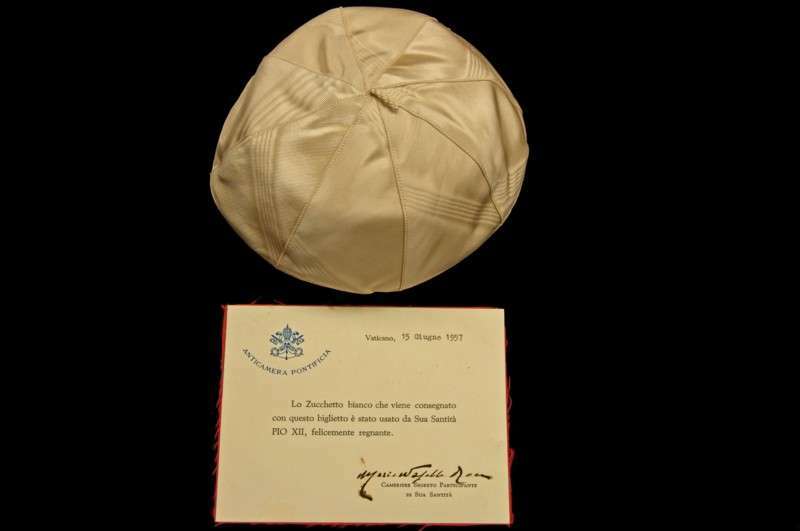 To have this item associated with his cardinalate, which is the reason he then became Pope, makes it such a great item! 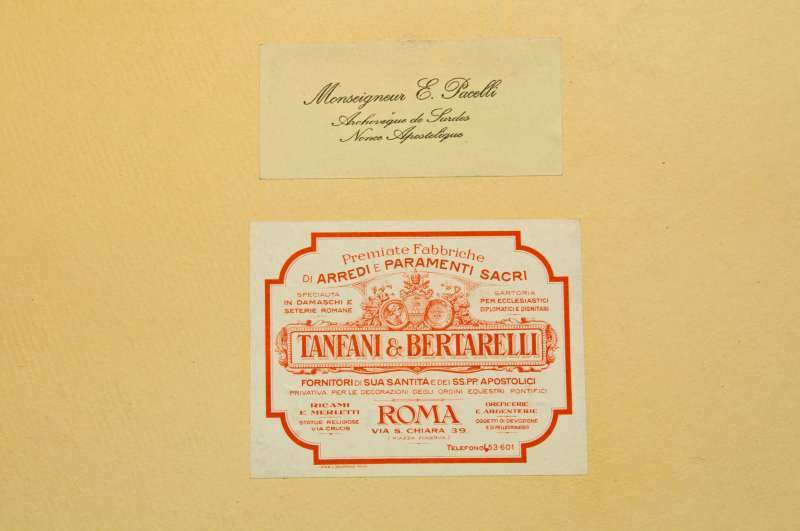 This galero is in very good condition and in its original box containing the seal of the company that made these hats: Tanfani & Bertarelli. It is the only one Father Kunst has ever seen on the market. A calling card belonging to Eugenio Pacelli inside the box identifies the hat as his galero. 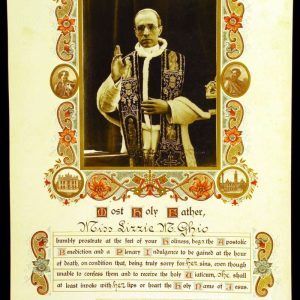 Pope Pius XI raised Eugenio Pacelli (the future Pius XII) to the cardinalate in 1929. 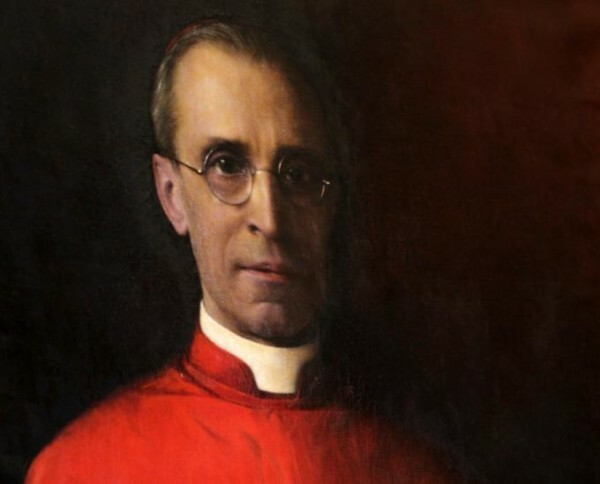 In February of 1930 Pius XI, who held him in great esteem, appointed him Cardinal Secretary of State. The galero is a large, broad-brimmed tasseled hat worn originally by clergy but eventually limited to cardinals. This style of hat originated in 1245 when Pope Innocent IV wanted his cardinals to be recognized in the lengthy processions at the First Council of Lyons. 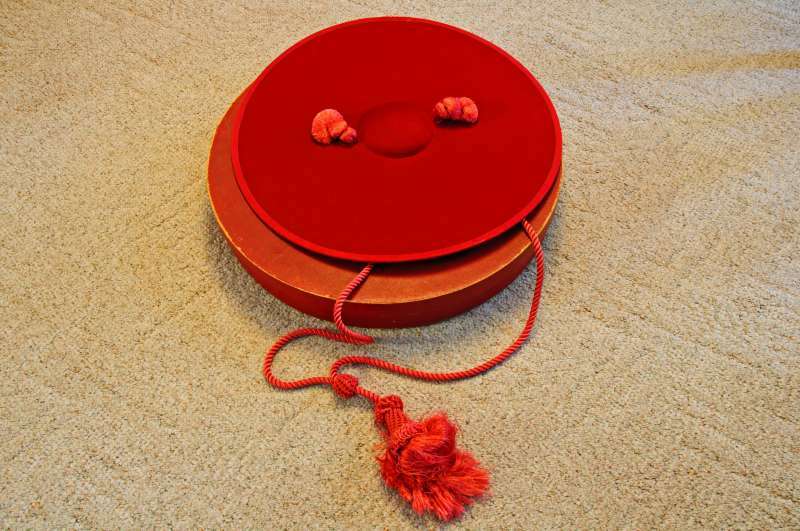 In the past, the pope placed the scarlet galero on the new cardinal’s head during the consistory. 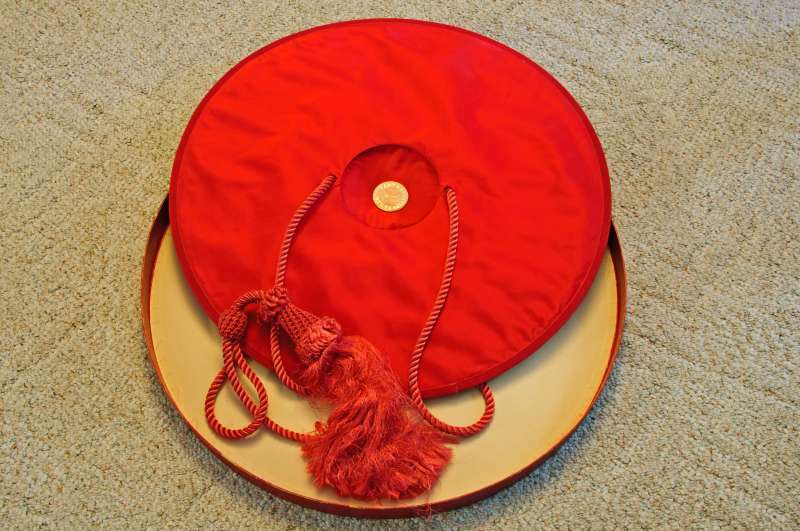 This practice gave rise to the phrase, receiving the red hat. In 1969 a decree of the Second Vatican Council ended the use of the galero. 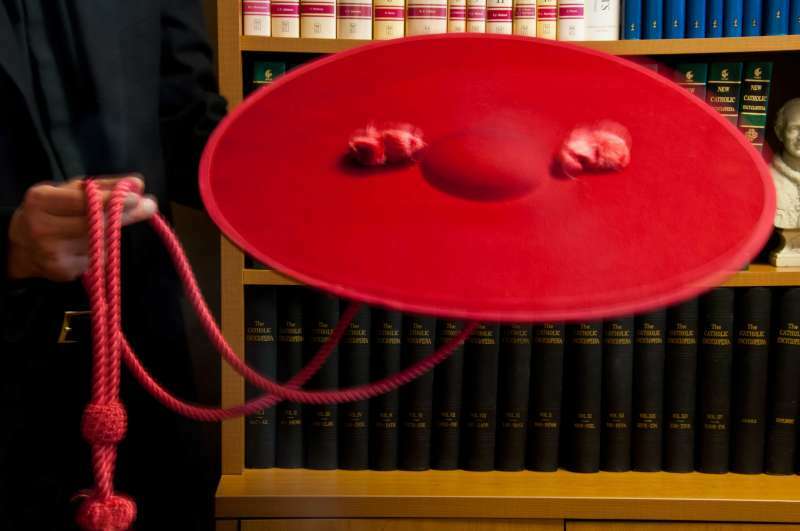 Presently, the scarlet zucchetto and biretta is placed over the heads of cardinals in consistory. 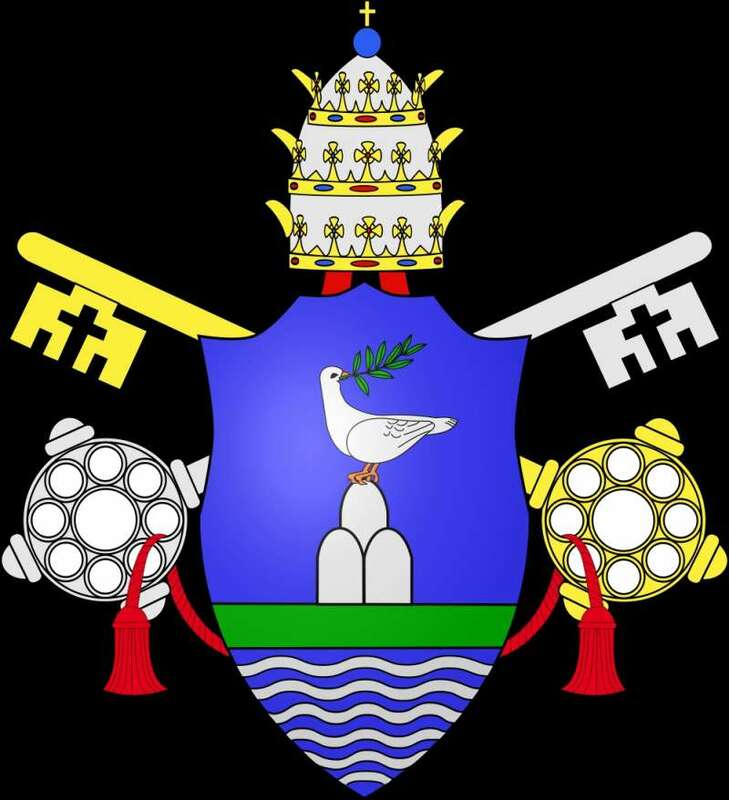 The galero is in the coat of arms of all bishops and cardinals. Normally a galero is hung from the rafters or ceiling of a cardinal’s church or cathedral. 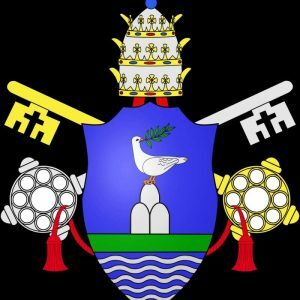 However when a cardinal is made pope there is no particular church with which he is associated. This galero is an extremely rare addition to the Papal Artifacts Collection. 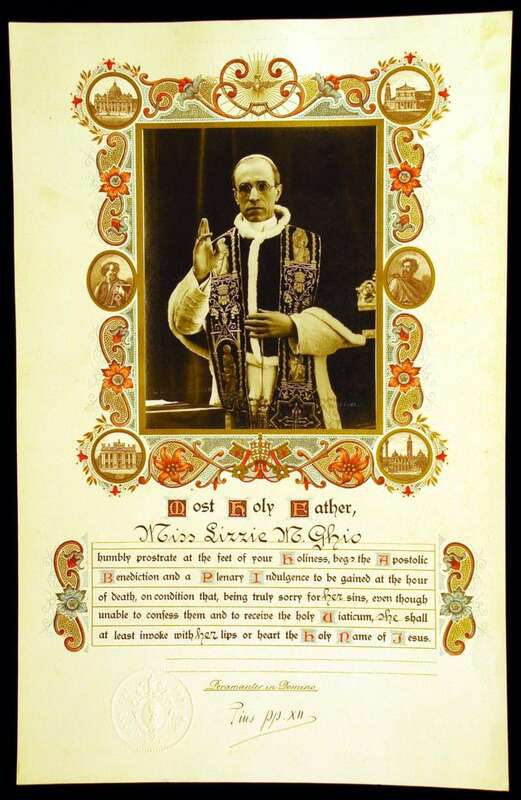 Papal Artifacts honors the memory and gift of his life to our Church of Pope Pius XII.